Model: PAM 383 Special Edition of 70, Flyback Chronograph. The Panerai Luminor 1950 Flyback is a special edition executed in 70 pieces. It is a high-precision sports chronograph fitted with the Panerai calibre OP XIX, an automatic movement which operates at a frequency of 28,800 alternations per hour and has a power reserve of 42 hours. As well as the characteristic indications of the simple chronograph, this calibre provides an additional function: instant resetting and restart, known as "flyback" or "retour en vol". If the reset button of the Panerai Luminor 1950 Flyback is pressed while the chronograph is in operation, the chronograph hands return directly to zero, without having to be stopped first. By releasing the reset button the central hand immediately begins a new measurement starting from zero. Hands: match the dial perfectly. Caseback: See through. Very low case no. 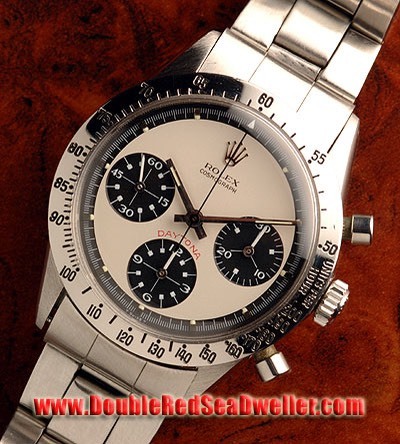 Overall Condition: Very collectible original watch with a great history. Accessories: Full Box and original papers, straps, screwdrivers, protector, hangtags, and booklets.